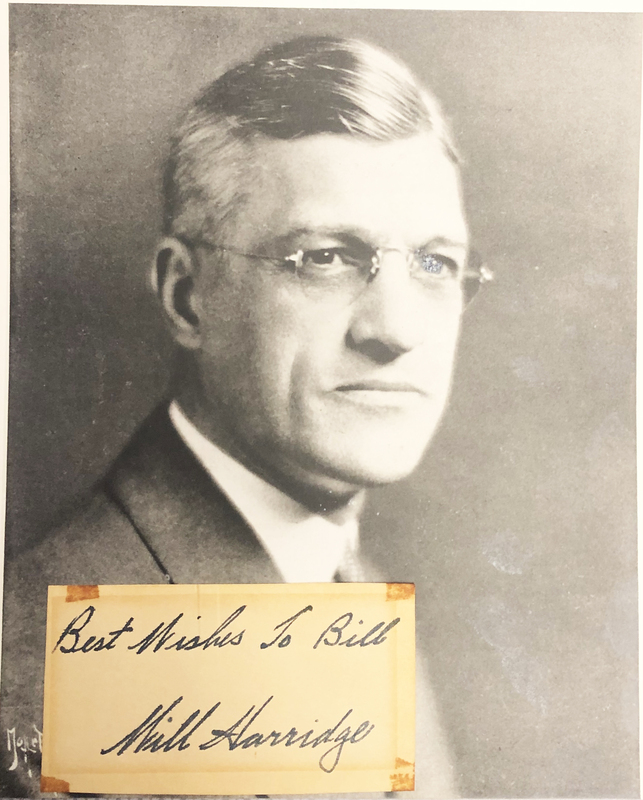 William Harridge ink signature with photo. Harridge (October 16, 1883 – April 9, 1971) was an American executive in professional baseball whose most significant role was as president of the American League (AL) from 1931 to 1959. He was elected to the Baseball Hall of Fame by the Veterans Committee in 1972.